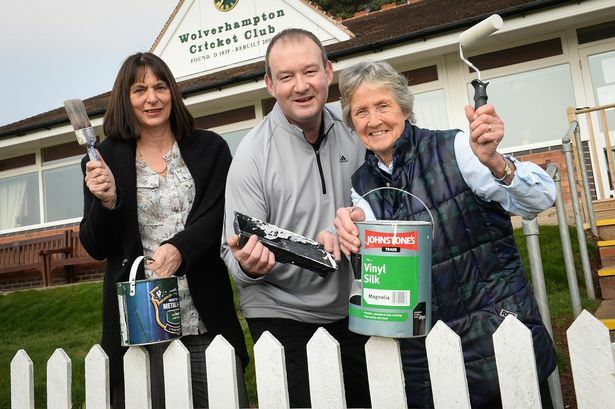 Staff from a Wolverhampton law firm will be picking up their paintbrushes to help spruce up the city’s cricket ground this month ahead of a high-profile international match. Volunteers from FBC Manby Bowdler will get behind the three-day Wolverhampton Cricket Club NatWest Cricket Force weekend from March 27 to 29 to give the Tettenhall ground a new look. Work required includes painting the scoreboard box walls, painting sight screens, painting fencing and gates, staining benches, washing down the boundary fencing and cleaning up the pavilion. The club has a special incentive to get the ground looking its best for the forthcoming season as it is due to host an international England v India 40-over game with visually impaired players on May 25. James Sage, partner and head of corporate at FBC Manby Bowdler, said: “This will be the third year staff have volunteered to take part in the Cricket Force weekend and we look forward to transforming the club over the weekend. “As people who live and work in Wolverhampton and the local area, we believe it is important to help groups like the cricket club, that do so much to support our community. Mike Elphick, Wolverhampton Cricket Club community development officer and senior relationship manger at NatWest Commercial Banking, said: “The consistent support we have had from FBC Manby Bowdler is truly appreciated. The Cricket Force weekend will also feature an evening disco and buffet on March 28 and Sunday lunch on March 29.